Smart decision making starts with securely capturing, processing, and analyzing relevant healthcare data. Our Retrospective Drug Utilization Review (RDUR) solution is a comprehensive toolkit that includes expert clinical services, extensive system capabilities, and robust data analysis that helps you determine your program?UR(TM)s drug use trends and gaps in care. Understand what has happened in the past, so you can make better decisions about the future. Our RDUR solution is designed to help clients discover usage trends in the member populations, adjust prescribing behavior through provider intervention, and ensure appropriate management of the plan?UR(TM)s formulary. RxExplorer® is a data collection and processing application that evaluates both pharmacy and medical claims data against our sophisticated therapeutic criteria to produce an enhanced database for analysis, clinical review, and intervention. We make data accessible by combining data from disparate systems to help you ensure appropriate and consistent care for your members. Our criteria set is flexible, allowing us to be responsive to your program?UR(TM)s specific needs and legislative policies. We deliver reports that highlight gaps, opportunities, and trends, so you have all the information necessary to make smarter decisions. We allow clients to build an information-rich, non-confrontational dialogue with providers to enhance quality of care. 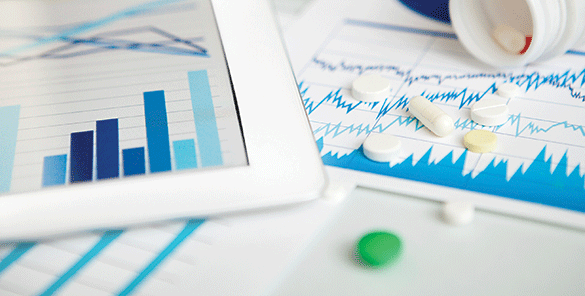 Without the ability to gather information about program effectiveness, health plans risk increased pharmacy cost and decreased quality of care. With our RDUR solution, you receive a highly-configured, cost-effective solution that will allow you to locate therapy gaps and guide your provider population in healthier prescribing practices.